We hope that you’ve enjoyed browsing the Party Bus Cincinnati website and that you’ve found all of the information that you needed. If you’ve found your way to this page, you’ve either got some questions for us or you’re ready to book your bus! All you’ve got to do to reach us with questions or to begin the booking process is to contact us via the below telephone number or email address. Ready to book your party bus? Download our contract now to get started! 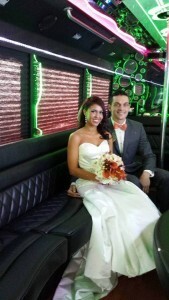 Thank you for considering Party Bus Cincinnati for your travel needs in Ohio.